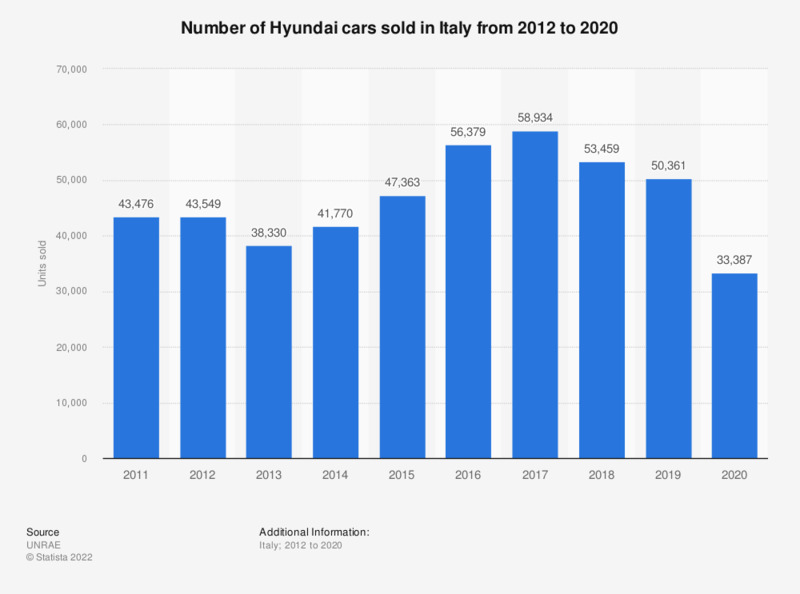 This statistic illustrates the number of cars sold by Hyundai in Italy between 2012 and 2018. Over the period of consideration, Italian sales of Hyundai cars declined to 38,330 units sold in 2013, before increasing again in the following years reaching 53,445 units sold in 2018. Previous figures provided in earlier reports from the source. Everything On "Automotive retail industry in Italy" in One Document: Edited and Divided into Handy Chapters. Including Detailed References. Statistics on "Automotive retail industry in Italy"
If you own/lease a car(s), which brand are they?